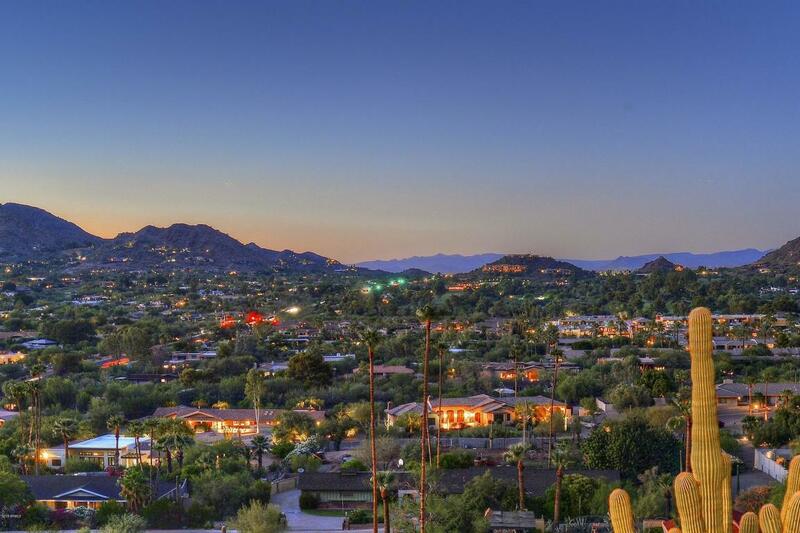 BREATHTAKING PANORAMIC VIEWS FROM THIS EXTRAORDINARY CAMELBACK MOUNTAIN PROPERTY! 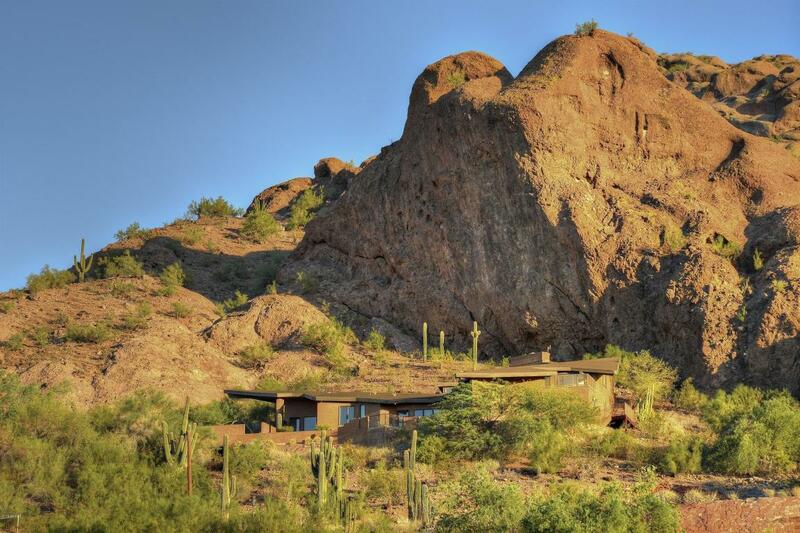 Nestled in the rock formations of prestigious Camelback Mountain, this spectacular home offers breathtaking vistas from a rare and unforgettable setting. 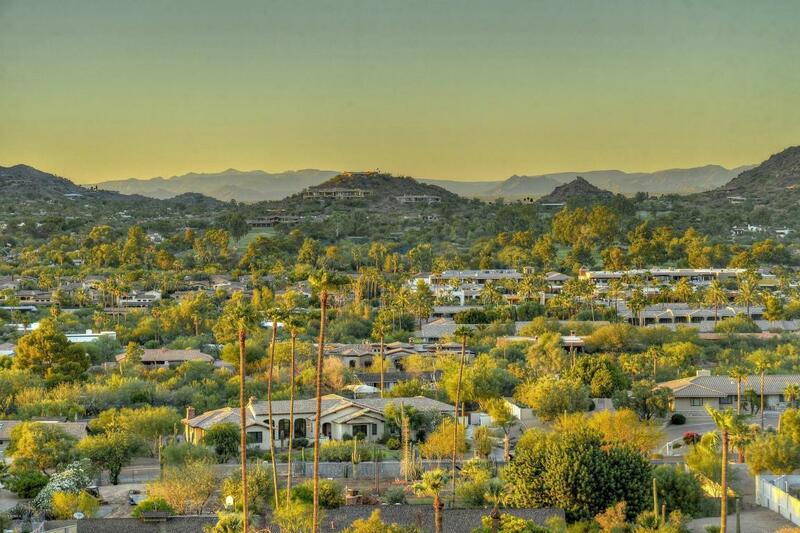 Whether sipping morning coffee on the balcony, dining alfresco while watching the setting sun, enjoying a sunrise stretch, or setting out on a hike or bicycle ride, the incredible setting and location will afford many amazing experiences and memories. 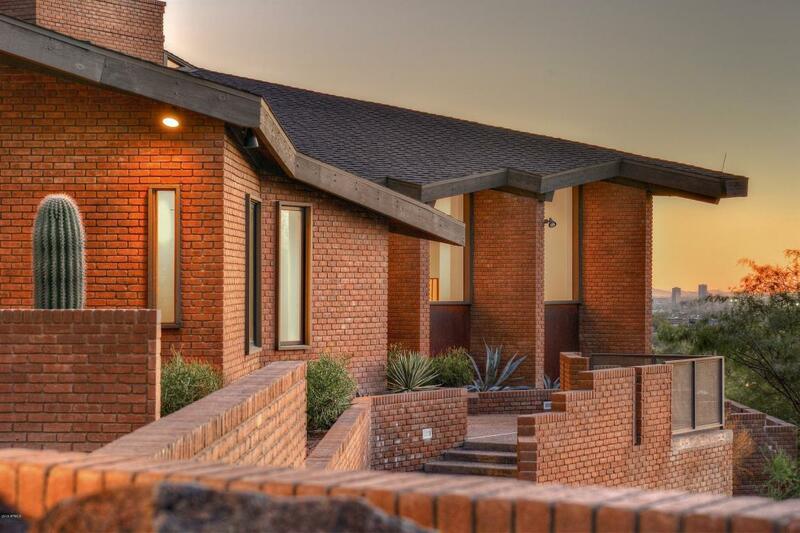 Truly a one-of-a-kind property, all within 10 minutes of Old Town Scottsdale, fine dining, shopping, and entertainment. And for those wanting to build an absolutely amazing new home, the seller will include permitted plans for an extraordinary new contemporary home. Watch the Video & Virtual Tour!